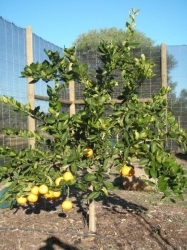 Minneola is a medium to very large, round to bell shaped fruit with a pronounced neck. 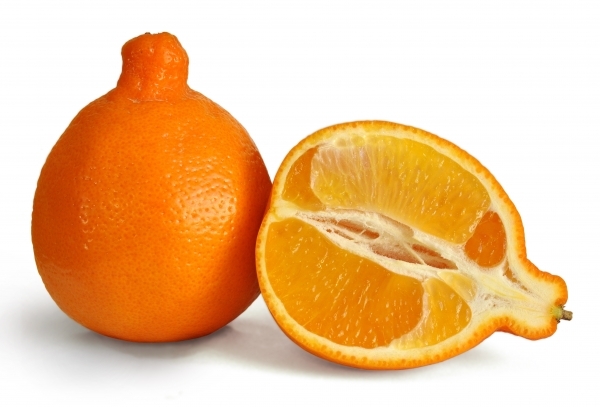 The deep orange to red-orange coloured skin has a smooth pebbly peel. Very few seeds. 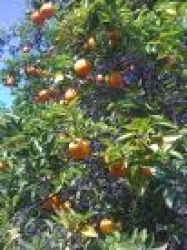 This tree has been bearing 18 months after planting and has the most beautiful, very juicy fruit. 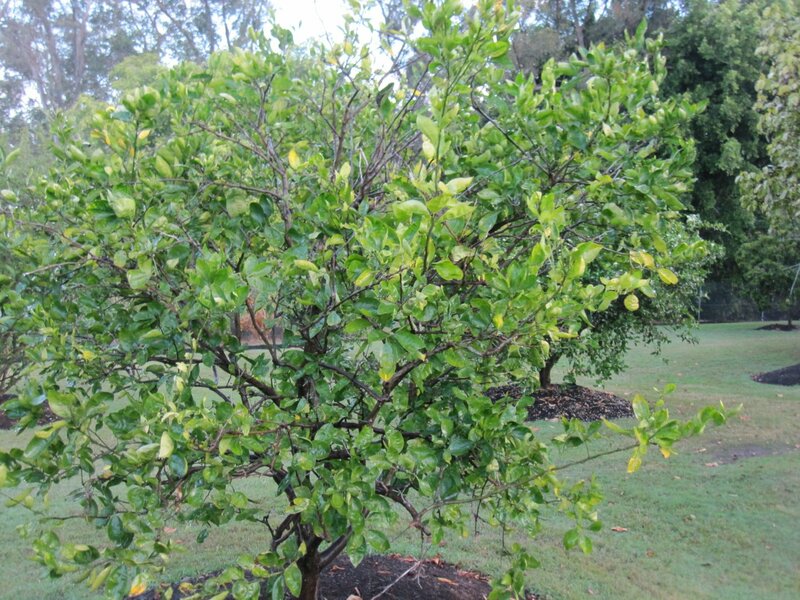 Tastes like inbetween a mandarine and grapefruit We have 47 different trees and most come from Daleys nursery when we go for a drive to Kyogle. For details on feeding etc see Lemon - meyer. Lovely fat fruit this year (2010) focussed on pruning for strong framework and removed flowers for first 2 yrs. Carried an awesome crop this season no problems but had to thin some of the bunches. Needs a fair amount of feeding and watering. Is fed manure, clay, straw, Blood n bone 10% potash and pine bark chips. Needs zinc, iron and manganese foliar sprays from time to time. I do things "when I get around to it" - generally. 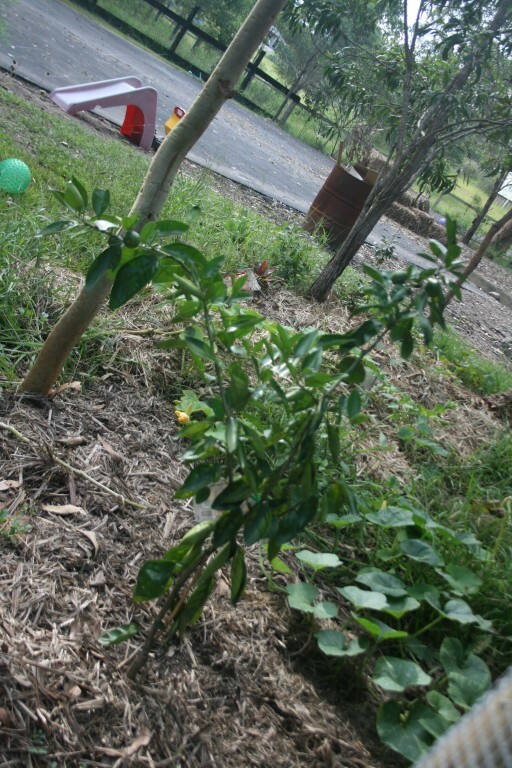 Aug 2010: just removed all the ripe fruit - many weighing half a kilo each....gave away. Covered in flowers again - but bummed as I really want to get in there and prune it? Delicious juicy fruit, hardly any seeds. Beautiful coloured fruit, very decorative. September 2014: Incredibly strong growing plant. Loves quality potting mix, free draining soil and a dose of fertiliser. Have been removing all flowers to promote strong root and leaf growth. Potting mix has been mixed with pine bark to ensure that the roots don't get soggy. 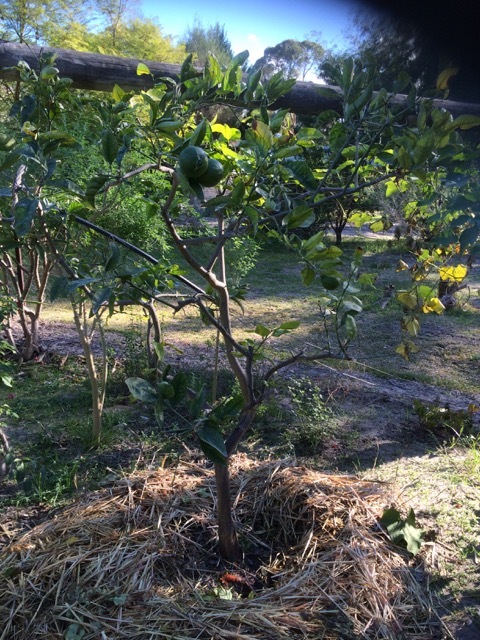 November 2014: This has put on some new growth but rapidly slowed in October. There are plenty of nutrients in the soil and occaisional flowers popping up on it. It is a healthy looking plant. 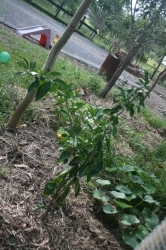 My little Tangello is doing OK considering the climate in Canberra. It has survived its first winter here. Looking forward to flowers and fruit. 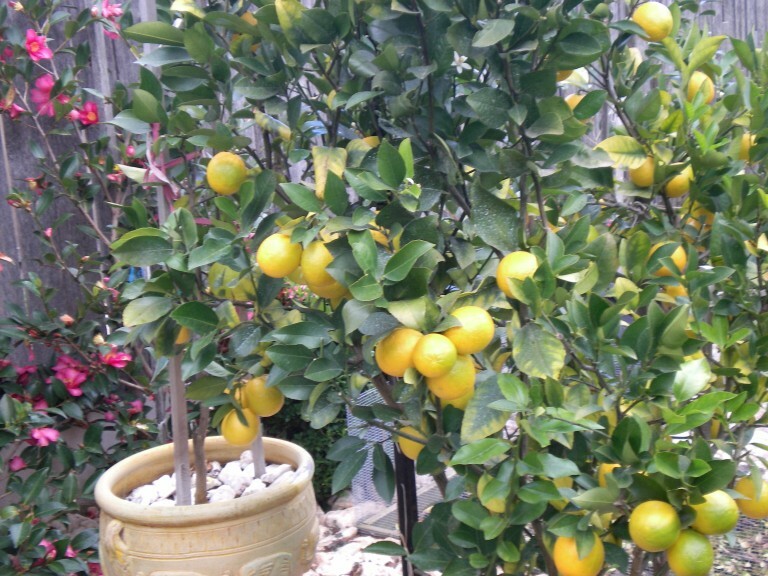 In the meantime I am sending a photo of my Lemonade tree which is a great producer. Lovely fat fruit this year (2010) literally bursting with juice. Highly recommend this variety. see lemon- meyer. Has not any pest problems as yet though. Growing strongly from the time it was planted. Should see first fruit next season. 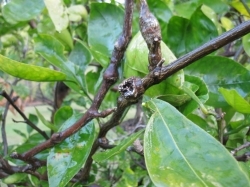 Set 2 fruit which are growing well, and has now flowered and set fruit again. Comments: - just got it, now flowering like crazy, i think it might be stressed. 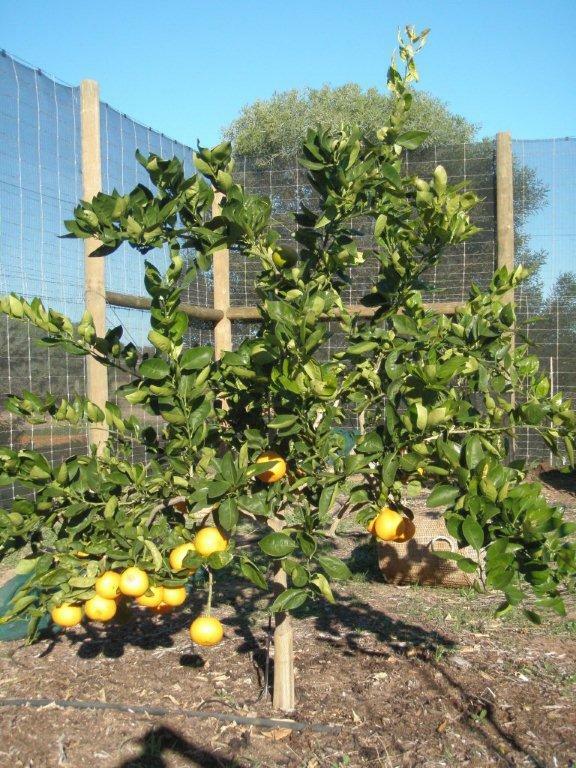 hopefully some fruit will come of it, am currently keeping it next to my Dancy tangerines for cross-pollination. 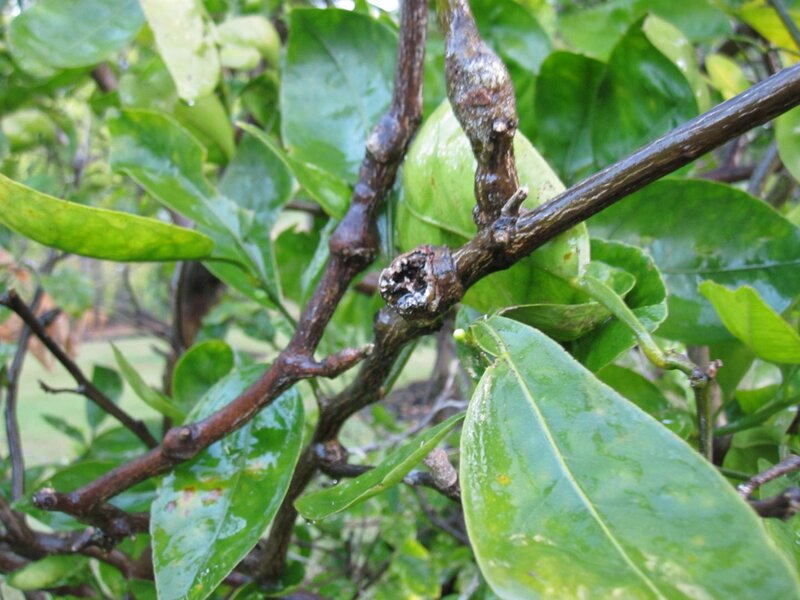 Pest Control: Organic insecticidal soap. Question: can anyone tell me what to feed my blossoming tree? 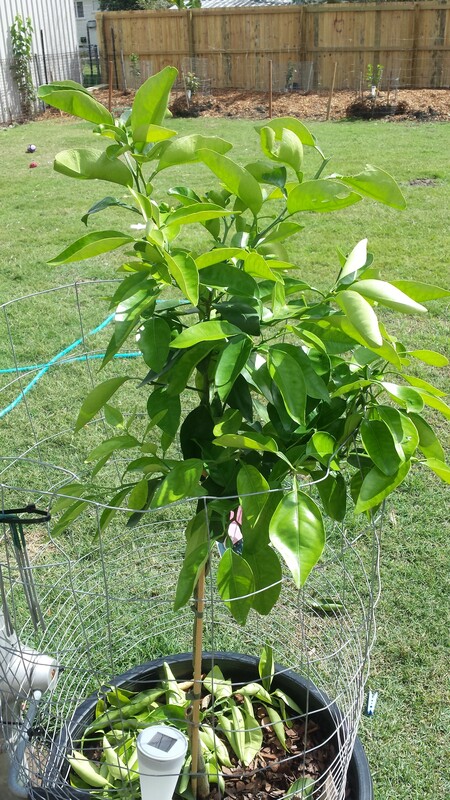 This is planted over my late cat and she has proved to be valuable fertiliser, it is twice the size of the other citrus planted at the same time! I love this fruit. It can vary from quite sweet to sour/bitter so try to get one you like. I love them all and will probably plant another one. 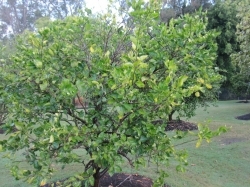 Should I prune it back a bit it has 2 long branches and looks like it may be unstable loaded with fruit. I left it and it now has fruit on which are pulling the branches down into a lovely drooping shape, I will prune by a third when I pick the fruit as it will be too heavy loaded with fruit. 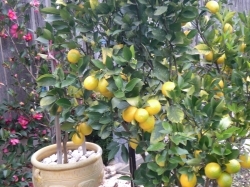 Comments: - Growing it for juice, fragrance and beauty of the tree when holding the vibrant orange fruit. Too young to tell. Just planted. It's currently in full sun. I water almost daily depending on weather. I planted in a 75 litre planter bag with a BIG bottom layer of course grade pine bark then kind of equal amounts of good quality potty mix, coir peat, perlite and a shovel of organic pellets mixed through. A really good layer of small pine bark on top. 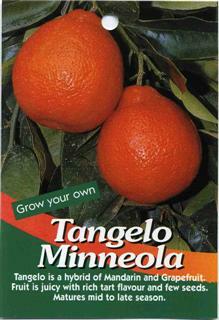 Comments: - I think Tangelos are the most delicious citrus. Haven't been able to find one to put in the ground yet, but I will!